September 27, 1911 –The Chicago Daily Tribunereports that Chicagoan George J. Lawton has bought the Auditorium office building, hotel and theater for $48,680 at a county tax sale. Lawton says, “I am going to make a test case and see if I can get possession of this property. I can get a deed, and as soon as I get that I’m going to try to get a title. If I can get that, I will begin legal proceedings to oust the present owners. It will take two years to fight it out, but I think it’s worth trying.” [Chicago Daily Tribune, September 27, 1911]The owners of the property in question failed to pay taxes on May 1, and six weeks later the County Treasurer advertised the property for sale. The property is sold at public auction on September 22, and Lawton wrests the valuable property away from consortium made up of the Studebakers of South Bend, Ind. ; Ambrose Cramer of Lake Forest; and the Peck estate of Chicago. It is estimated that the property and the building together are worth close to $4,000,000. 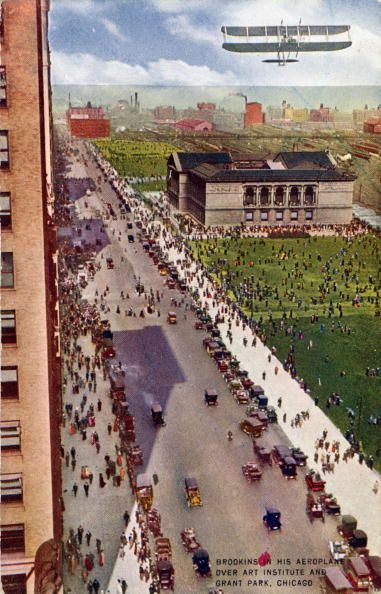 Seven years earlier the Chicago Symphony Orchestra had left the building for digs on Michigan Avenue. 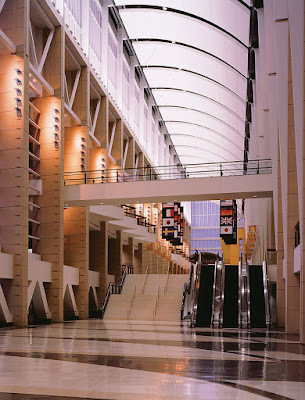 The hotel had lost prestige as more modern buildings opened up, and the offices in the structure were left to compete with the new skyscrapers springing in the Loop, most of them not looking out at the noisy elevated tracks. It is probable that the building would have been torn down, had it not been for the fact that the razing of the structure would have cost more than the land on which it stood was worth. September 27, 1991 – The largest public works deal in the history of the city is awarded to a team of firms led by real estate developer Richard Stein as a $675 million contract for the design and construction of an exhibition hall and galleria west of the current McCormick Place. The contract is signed just two days after Illinois Governor Jim Edgar signs into law a $987 million expansion program that the General Assembly had approved in July. Edgar says, “This expansion will allow shows to stay in Chicago and allow millions of dollars to come into our economy. This legislation is a plus for all the people of Illinois.” [Chicago Tribune, September 28, 1991] Work on the new complex is expected to begin in February of 1993 with completion by August of 1996. Stein’s group, known as Mc3D, is the only one of the three proposals submitted that puts all the exhibition space in the new building on one floor. The group also will be responsible for constructing an 80-foot galleria that will connect the new south building with the north building and the original east building. The whole package of nearly a billion dollars of work also includes a modest $60 million-dollar plan that will dramatically enhance the lakefront – the rerouting of the northbound lanes of Lake Shore Drive to the west of Soldier Field, creating a beautiful swath of green space and a campus for the three great cultural attractions on the lakefront, the Shedd Aquarium, the Field Museum of Natural History and the Adler Planetarium. September 27, 1910 – As 200,000 people look on, Walter L. Brookins circles his Wright biplane 2,500 feet above the city for a sustained flight of 20 minutes. Taking off from Grant Park, which was “black with humanity,” [Chicago Daily Tribune, September 28, 1910] the aviator thrills the crowd as he soars south to Twelfth Street, over the Loop to the Federal Building on Dearborn Street, and back over the lake. “Chicago looks for all the world like the picture on a postal card when you are 2,000 feet above it,” Brookins says at the end of the flight. “I could look down between my legs and see everything, but of course could recognize only a few of the buildings. 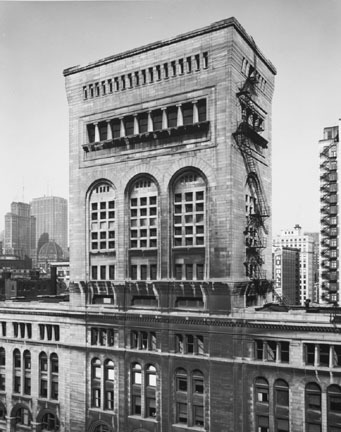 I knew the federal building as soon as I saw it and I stopped my westward flight as I looked directly beneath me.” The next day Brookins would attempt a sustained trip from Chicago to Springfield in an attempt to outrun an Illinois Central passenger train.